We fell in head first, with hope undaunted, this whole craft distilling thing. The movement is still growing and producing new stuff for the shelf, but please don’t be fooled, the booze market is like water over concrete: it finds EVERY crack of mediocrity eventually. It was really only a matter of time. The torrential flood of very young, sub par, overpriced whiskies from new distillery startups is frankly exhausting at this point. In my mind, you simply cannot get away with micro-distillery buzz anymore. It is no longer about how hip your brand can be, it is now a quality war. In our view, there is still a core group of craft distillers that always have and most likely will continue to produce quality whiskey. We are confident that Heritage Distilling Company (HDC) firmly belongs in that group. HDC is operated by Justin and Jennifer Stiefel. The Stiefels, along with a number of investors, poured well north of $1,000,000 into the HDC operation in order to make a serious run at the Northwest market and beyond. Based in Gig Harbor, WA, this very young distillery has already produced quite the range of quality products available to the consumer. We are covering primarily their newly released Elk Rider Series of whiskies that include a Bourbon, a Rye and a Blended Whiskey. HDC sources all of their grain (except rye) from Washington state and now operates out of two locations on the western side of the state. Elk Rider Bourbon is distilled from a pressure cooked mash bill of 65% corn, 35% rye, and 5% malted barley. The resulting distillate is aged just under 2 years in a mixture of new American oak barrels measuring 200L/50L/10L. Refreshingly, the entire Elk Rider line is bottled at an above average 46%ABV. Not 40%. Nose- Classic bourbon nose with a gentle, sweet corn base. Brown sugar. With time a nice cigar/sweet tobacco note. Dried apricot, cherry and red delicious apples. Needs a good five minutes to open up. Taste- A nice recap of the brown sugar, cherry notes on the nose with a viscous, dry feel on the back end. The best tasting Elk Rider. Finish- Medium length. A strong burst of sweetness with an oaky coffee feel. Warming and pleasant. Comments- Good balance and nicely integrated flavors. HDC has delivered a serious bourbon and captured our interest. Disclaimer – HDC provided a random, un-altered bottle from their production warehouse for this review. Really have enjoyed both 12 and Elk Rider Burbons. 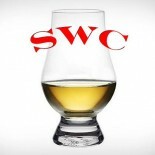 Want to try their blended Whiskey next to see how it compares to Pendelton which is my daily choice for whiskey. This is one of the best American whiskeys I have tastedto date. I strongly suggest you try it. My only complaint is they don’t yet offer their product in the half gallon bottle. My go to whiskey is Pendelton which is a Canadian blend and is fabulous on the rocks! Heritage Whiskey is definitely a must try and the price is fair and reasonable for a premium Whiskey. Keep it up!